It is so iconic and, along with the other original Cesar Ritz hotels, sets the standard in luxury hospitality. Craig Adamson, director, Australia and New Zealand, Luxury Hotels of the World, gives you his pick of the best of the best high-end accommodation across the globe. Where in the world do you think does luxury best and why? The term ‘luxury’ when relating to travel can mean many things. Europe for me is where you go for classic luxury experiences, hotels that are rich in history, classic in design; some a destination in themselves. Asian resorts are a great example of wonderful service, idyllic settings and luxury villas. Can you name the five hotels you consider the most luxurious in the world? 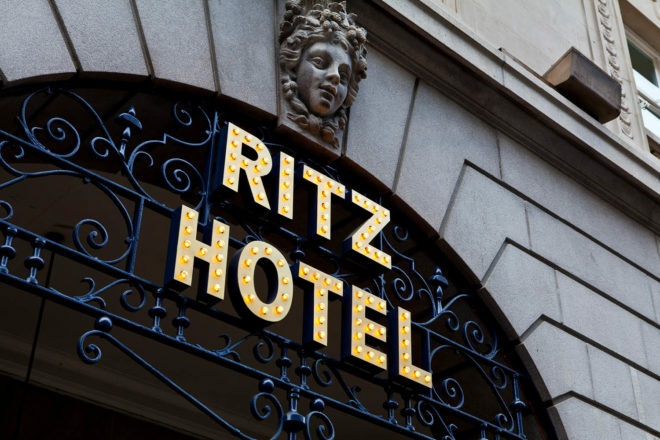 The Ritz London – It is so iconic and, along with the other original Cesar Ritz hotels, sets the standard in luxury hospitality. The staff make this hotel – there is a sense of formality, but delivered in the most pleasant and friendly way. The Greenwich, New York – A great example of luxury without formality. The hotel is cool and confident – it is so representative of its neighbourhood. And the complimentary American candies in the room are very memorable. J.K Place Roma – Small but perfectly formed, the hotel feels like a home where everything is highly personalised. Halekulani – It is an institution in O‘ahu and without doubt the chicest hotel on Waikiki. Hotel Ritz Paris – Does it need an explanation? It is extraordinary! Where have you had the best hotel breakfast ever? Royal Monceau Raffles Paris – the Pierre Hermé pastries are incredible. Where have you encountered the best concierge service? What’s the next destination you are predicting to become big news in the coming year? I think it may already be big – Greece. We are seeing more and more luxury travellers from Australia heading to the islands. Where is your favourite hotel bar, and why do you love it? I love the Artesian Bar at The Langham, London. The David Collins design is beautiful and there is a wonderful gin selection. What is the best dish you have eaten in a hotel restaurant? I have been lucky to experience lots of great dishes in hotel restaurants over the years but I am happy with a well-executed club sandwich – I rate hotels by their club. Which luxury hotel caters brilliantly to kids? The Ritz London – of course they do the mini bathrobes and slippers, but it is the VIK card that gets you ice-cream in the hotel’s restaurants that is the best! Still on your wish list and why? Laucala Island, Fiji. Laucala is a private island staffed by over 400 (mainly) Fijians, with 25 villas. The island is largely self-sufficient; growing their own fruit and vegetables and farming their own animals.